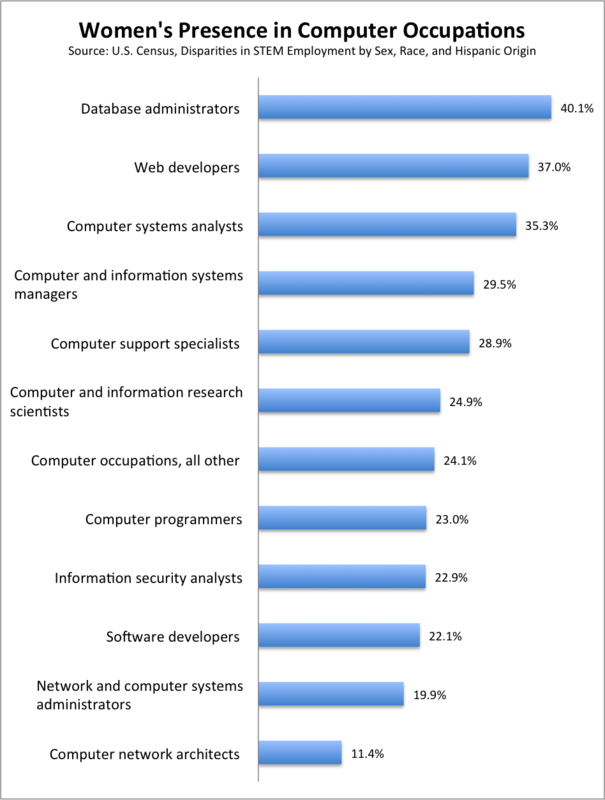 In 1990, more than 30 percent of computer workers were women. Now it's just 27 percent. The dearth of women is worse in some corners of computer world than others. 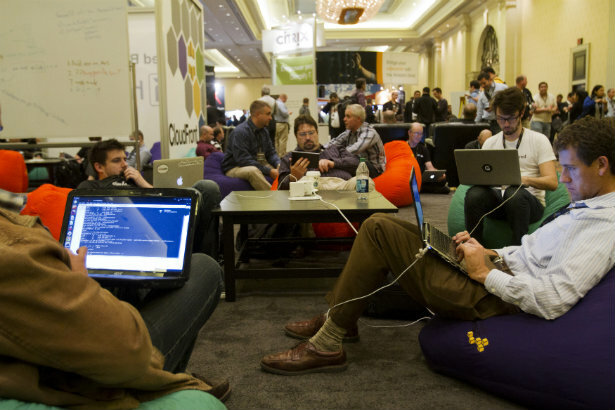 Two in five Web developers are women, but 78 percent of software developers are men. One of the issues might well be academic, in a literal sense. Women peaked as a percentage of all computer science undergraduates in the 1980s, not long before they topped out in the computer workforce. And while researchers are still trying to explain the falloff, it seems pretty plain that culture--the way society at large still treats tech as a male bastion, and the often nerd-frat hybrid culture of the field itself--plays a role. So here's why everybody, whether or not they've ever given a hint of thought to brogrammers and the social mores of Silicon Valley or Alley or Beach, should care. A large part of the pay gap between men and women boils down to the different careers they pursue. And STEM jobs, with their generally high salaries, are an especially important factor. 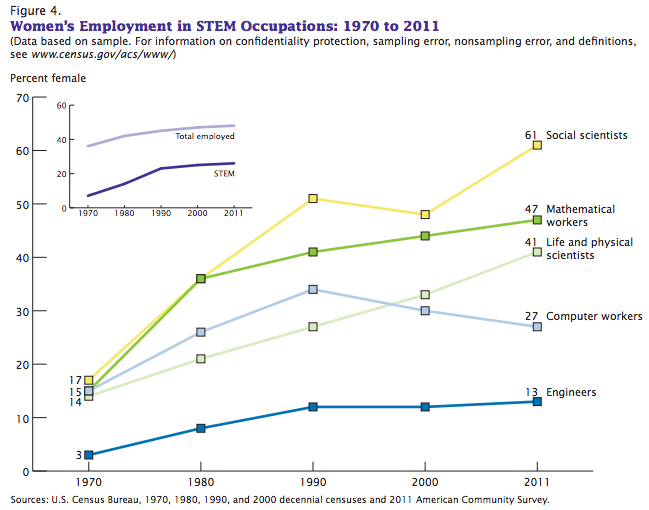 Meanwhile, as the Census notes, computer fields make up about a half of STEM employment. So when you talk about women retreating from computer work, you're talking about a defeat for their financial equality.